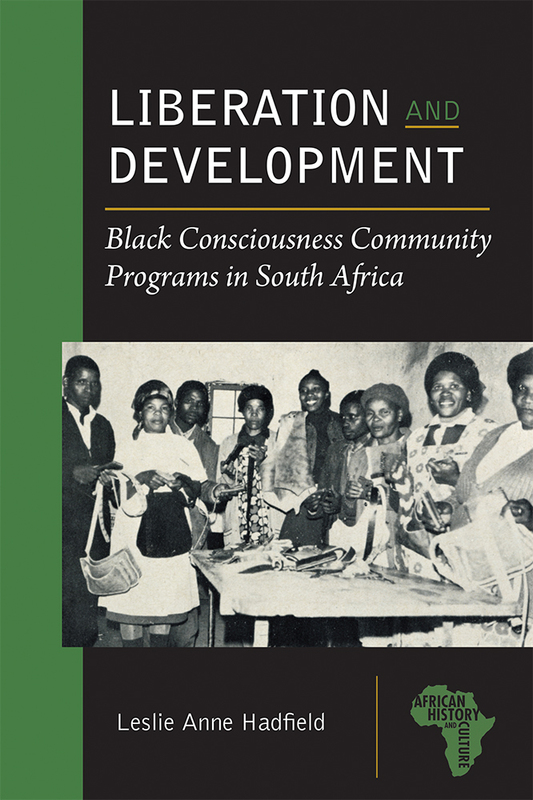 Liberation and Development: Black Consciousness Community Programs in South Africa is an account of the community development programs of the Black Consciousness movement in South Africa. It covers the emergence of the movement’s ideas and practices in the context of the late 1960s and early 1970s, then analyzes how activists refined their practices, mobilized resources, and influenced people through their work. The book examines this history primarily through the Black Community Programs organization and its three major projects: the yearbook Black Review, the Zanempilo Community Health Center, and the Njwaxa leatherwork factory. As opposed to better-known studies of antipolitical, macroeconomic initiatives, this book shows that people from the so-called global South led development in innovative ways that promised to increase social and political participation. It particularly explores the power that youth, women, and churches had in leading change in a hostile political environment. With this new perspective on a major liberation movement, Hadfield not only causes us to rethink aspects of African history but also offers lessons from the past for African societies still dealing with developmental challenges similar to those faced during apartheid. Leslie Anne Hadfield is an assistant professor of African history at Brigham Young University. She has published articles in various African history journals.